Regular G&B readers will be no strangers to the name Dennis Fano. The Pennsylvania luthier’s electric guitar designs have graced these pages in recent months under the banners of his former, eponymous company, his current outfit Novo and his new side-project Rivolta. 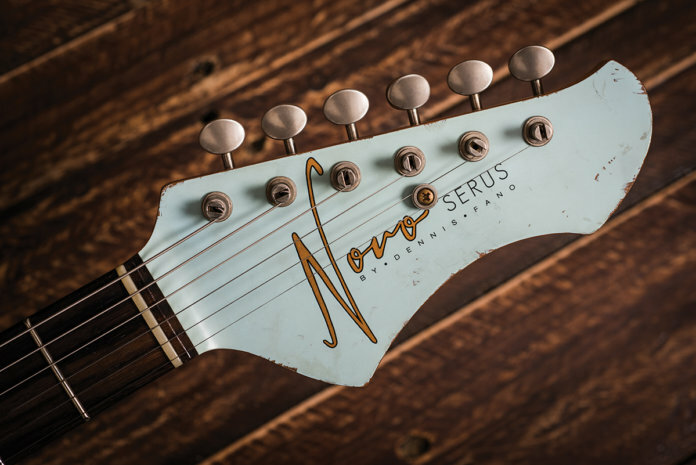 Dennis’s debut Novo instrument – the Serus T – landed on UK shores a little over a year ago and went on to scoop the top prize in our 2016 Gear Of The Year awards. To say that we have high hopes for its stablemates is putting it mildly. Where the Serus T saw Dennis opt for a Tele-style configuration on an offset slab body, the Serus J betrays more of a Jazzmaster influence, thanks to its forearm and belly contours and Mastery Offset Bridge and Vibrato. 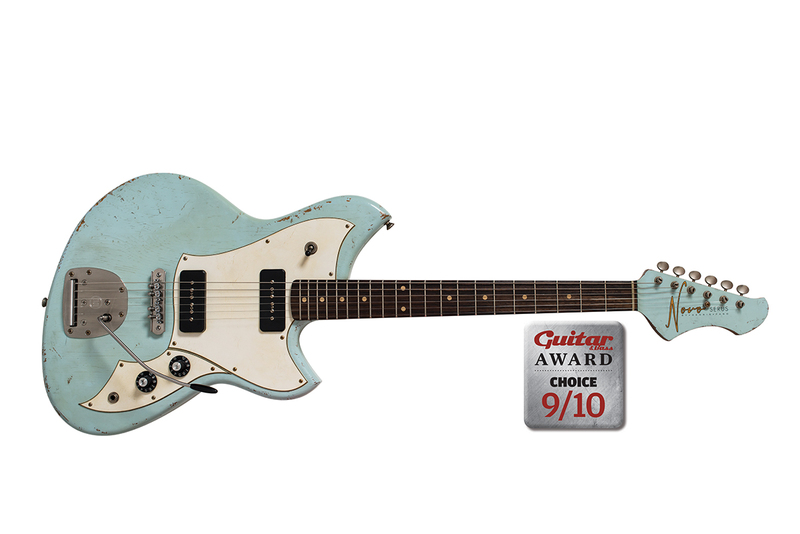 Here, in aged Sonic Blue with matching headstock, it certainly cuts a dash. Like the Serus T, sweet-smelling, tempered (aka torrefied) tonewoods are the order of the day. 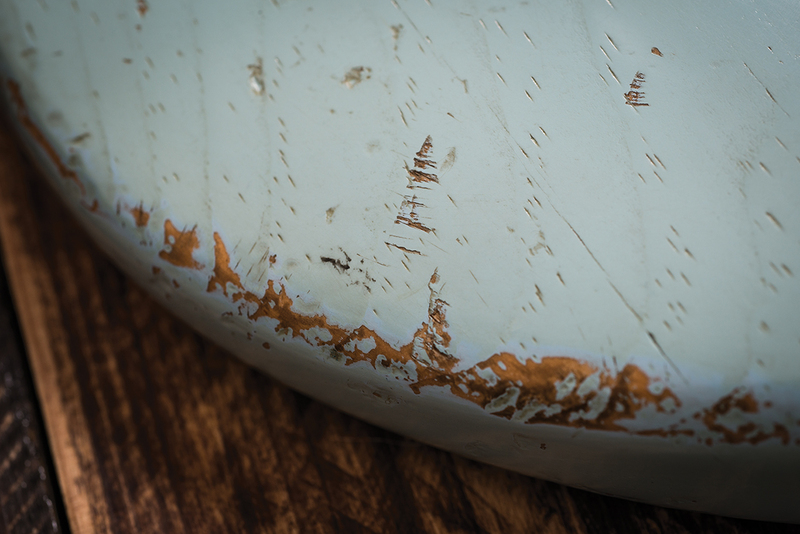 The J’s lightweight pine body has a pronounced grain that can be seen and felt through a thin nitrocellulose finish that’s been scuffed and yellowed to deliver an old-guitar vibe straight out of the case. Worth around £180 in its own right, the M80-EG Hybrid Case falls somewhere between a gigbag and hardcase, and is tough and light, offering excellent protection – it’s a much more practical option for the musician on the move than a vintage-style rectangular case. The Serus J doesn’t just look old – its medium C-shaped tempered pine neck has a played-in feel thanks to expertly rolled rosewood board edges, while the lacquer-free back has the slinky, familiar feel of an old favourite. Like the Serus T, despite the lightweight body and large headstock, the J balances beautifully when played in a standing position. Again, we’re impressed immediately by Jerry Amalfitano’s pickups. Woody, raunchy and touch-sensitive, these P-90s deliver everything you need for retro-rock, elastic R&B, 50s twang and much more. There’s a nice balance across all three settings with a noticeable lift in the upper-mids when you flip to the bridge, allowing you to go from sweet to snarling in an instant. 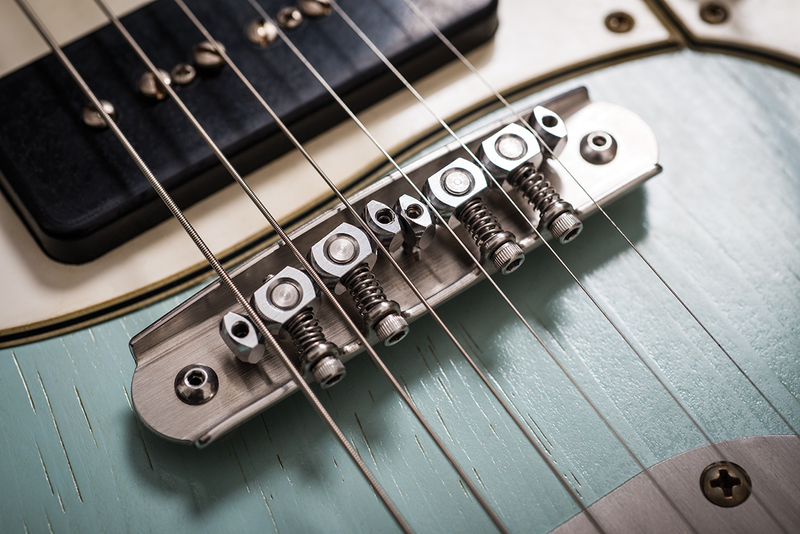 The Mastery bridge and vibrato is threatening to become our absolute favourite whammy arrangement – the setup here feels almost hardtail-like in its stability until you wobble the bar, allowing country bends on the unwound strings to inhabit the same passage of play as shimmering vibrato with no tuning issues.